Chuck started working in the automotive industry when, at the age of 12, he was hired to wash cars at his father’s dealership in Oxnard, California. He’s come a long way since then, but the core principles he learned working his way up through every department of the family business – the importance of providing exceptional customer service, cultivating honest, transparent communication, and working to benefit the community you live in – have served as the foundation for his life’s work. Chuck studied at Los Angeles Valley College, where he was an All-Conference Water Polo player, and then attended the University of California Los Angeles, where he earned a degree in business administration. After serving in the United States Air Force and attending General Motors Institute, Chuck was named executive vice president and general manager of the Butler Buick dealership in Torrance, California. It was there that Chuck first met Linda. Three years after their first date (a Neil Diamond concert at the Greek Theatre,) Chuck and Linda were married. The pair bought a Ford dealership in Ashland, Oregon in 1976, and the Butler family of dealerships was born. They now own 4 dealerships in Ashland and Medford. 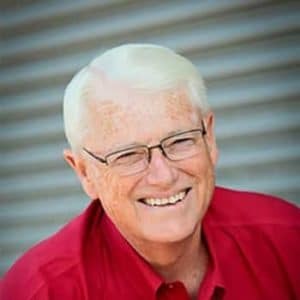 Chuck is also a partner in Steelhead Finance in Medford, a commercial finance company, and CPM Real Estate Services, a property management company with locations in Medford, Ashland, and Grants Pass. No matter how many honors or accolades Chuck receives, the titles that are most important to him are the ones that he has been working to earn for his entire life: husband, father, grandfather, friend, and neighbor.